What a beautiful sunny day. We have 4″ of fresh powder from Wednesday afternoon. And the temperature has held steady most of the morning at 20 degrees. We have 20km groomed for skate today. 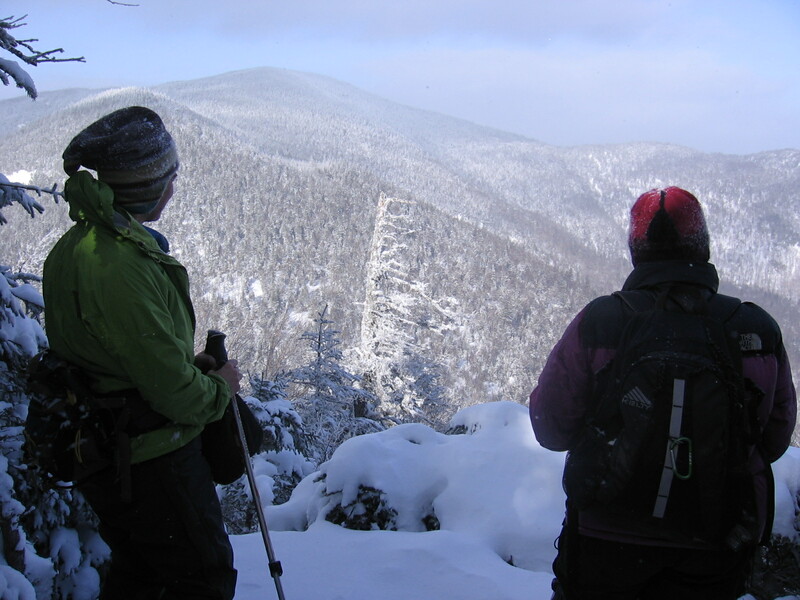 Snowshoe Day is this SUNDAY- Feburary 3rd. This is a perfect opportunity to get outside Sunday morning with family and friends for some exercise and relaxation before the Super Bowl. We will have Demo Snowshoes from our friends at TSL Snowshoes — goodie bags for kids and a fun kids obstacle course/ run race. ** The weather has been extreme today. And from late morning to 1:30pm we have received 3″ of very wet heavy snow. It has turned into a blizzard and there is still lots of snow coming down. We are not going to groom today– but we will have grooming for tomorrow morning. Come on up and get ready for the Craftbury Marathon. 8 am Post — Winter is taking a day off. It has been going back and forth between snow and rain this morning. Hopefully the cold front that is now over NY state will get here soon. There is still lots of snow up on the mtn– but last night there was freezing rain and this morning there is lots of ice. We are working on grooming a couple trails this morning– it’s going to be soft in some place and also icy today. Thanks to all the racers, volunteers and parents for a great race yesterday– we enjoyed hosting the BFA St. Albans Classic 5km. Boys team scores: BFA-Fairfax 25, Burlington 35, Champlain Valley 64, BFA-St. Albans 74, Essex 75, Colchester 89, South Burlington 90. Boys top 10: 1. Kyle Bochanski, Fairfax, 22:00; 2. Sam Hughes, CVU, 22:11; 3. John Critchlow, CHS, 22:28; 4. Matt Thwaites, SBHS, 22:35; 5. Mark Mitchell, BHS, 22:55; 6. Ben Lustgarten, BHS, 23:07; 7. Zach Bochanski, Fairfax, 23:09; 8. Dustin Hayes, Fairfax, 23:14; 9. Andrew Phillips, Fairfax, 23:17; 10. Philip Burgin Young, CVU, 23:22. Girls team scores: BFA-Fairfax 33, Champlain Valley 34, U-32 53, BFA-St. Albans 59, Burlington 97, Colchester 103, South Burlington 126, Essex 136. Girls top 10: 1. Chelsea Evans, U-32, 24:21; 2. Rachel Stearns, CVU, 25:11; 3. Rachael Shepardson-Rudden, BFA-SA, 25:58; 4. Heather Holloway, Fairfax, 26:54; 5. Sylvana Lane, Essex, 27:25; 6. Danika Frisbie, CVU, 27:29; 7. Michelle Ambrisco, Fairfax, 28:00; 8. Camille Fancea, Fairfax, 28:10; 9. Dia Davis, BHS, 28:22; 10. Andrea Canzano, BFA-SA, 28:23. Well there is still lots of snow and good skiing, but it did just start raining. It’s a klister classic day. The high school race is still on and start/finish area is at the top of Broadway. Bring a raincoat if you are a spectator. Course – World Cup, Broadway, Spruce Run, Broadway to Finish by the pond. JV will be the same- except no World Cup. The race will be on a running clock with 5 minutes or less between races the varsity races. There will be a 12-15 min gap before we start the JV race to clear most of the Varsity girls from World Cup . It’s another great ski day. We have 20km Skate and Classic Groomed. World Cup is just Skate groomed today and Maple Loop has in great shape for both Classic and Skate. This morning we have Sunday Morning Clinics from 10-11am. And they are FREE. This is a great opportunity to try out Nordic Sking. 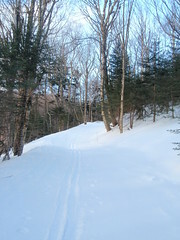 Bolton-Trapps Trail is in good shape- there have been reports that there is no winter logging. Several groups have skied Woodward Trail to Little River State Park and report that it’s great skiing right now. 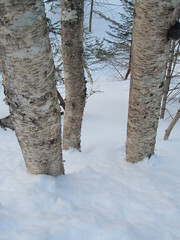 I skied great powder in the Cotton Brook/Paradise Pass area on Paradise Pass on Friday and the skiing was AMAZING– 8-10″. There is lots of great powder in the woods. Snow Hole has been skied out by snowboarders. The stream crossing on Cliff Hanger is frozen over. We have a NEW white board inside the Nordic Center for reporting trail conditions on specific Backcountry and Nordic Trails. Come inside after skiing and spend a couple minutes making a report about the trails you skied and the date. Don’t worry about divulging all your secret stashes, we just want the basics. 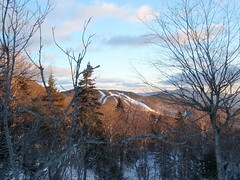 After an hour of uphill skiing we arrived at the lookout on Stowe View– the Mtn in the background is Bolton Mtn. Powder overnight. Yahoo. We received 4″ of fresh powder last nigh and early this morning. And on top of a great base of snow– 15″ through this week — the skiing is great. It’s currently 20 degrees and a perfect blue wax day. We have 25km groomed for classic and skate. It’s some of the best skiing of the season!! And in the backcountry there is a great layer of fresh powder. This is the perfect day to explore Birch Loop, Heavenly Highway or Stowe View– hitting some powder tele runs on JJs and Devil’s drop on the way back down. If you are new to the backcountry visit us in the Nordic Center and we can get you set up with a map and route. It’s a cold morning at Bolton– about 10 degrees at 9:30am. We currently have some of the best conditions of the season- a nice hard pack base with packed powder and power on top. 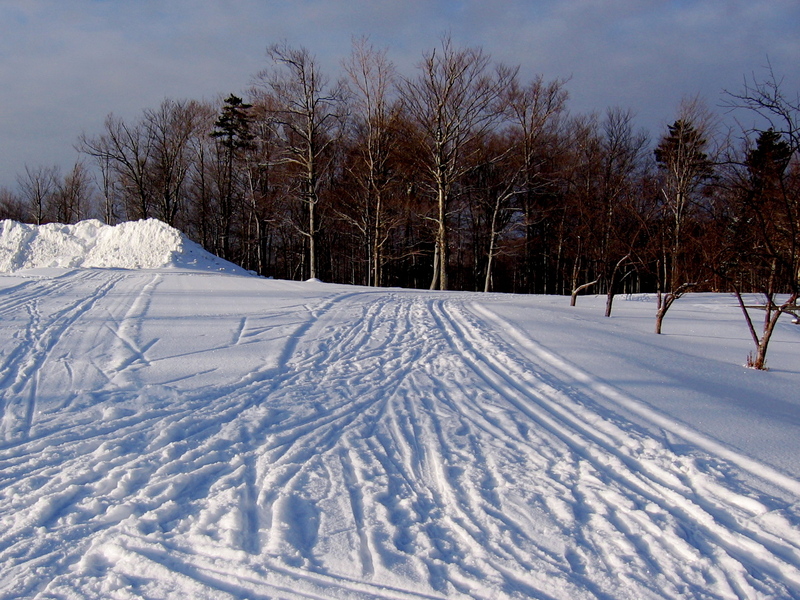 We have 15km skate and classic groomed. The classic tracks are bomber and the wax of the day is green moving to blue as it warms this afternoon. 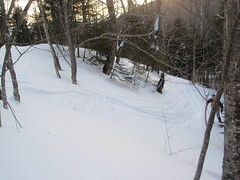 In the backcountry we groomed the Bryant Trail up to the Bryant Cabin. The trails still have a very hard crusty base under about 10″ of new snow. The recommendation from skiers who have been in the backcountry area is to take light turns so as to not push through to the icy crust. 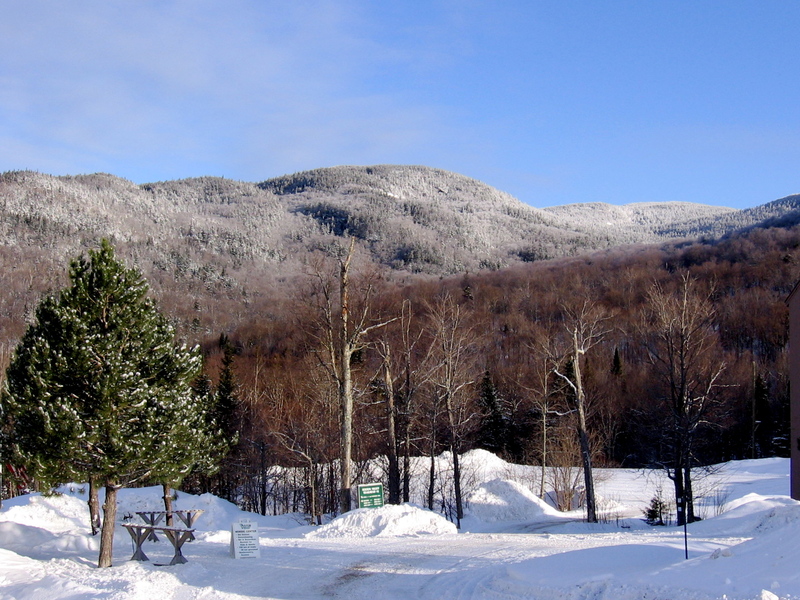 We have several events coming up at the Bolton Nordic Center— are hosting a Snowshoe Day on Sunday February 3rd. This is a great event for families and outdoor enthusiasts. Check out the events page for more information. An inch of powder overnight on top of hard packed classic and skate tracks. It’s some of the best skiing of the season! A dusting of new snow on the upper mts in the backcountry… and we just keep getting more snow every couple days! !